Some buns you want sticky and other buns you don’t. 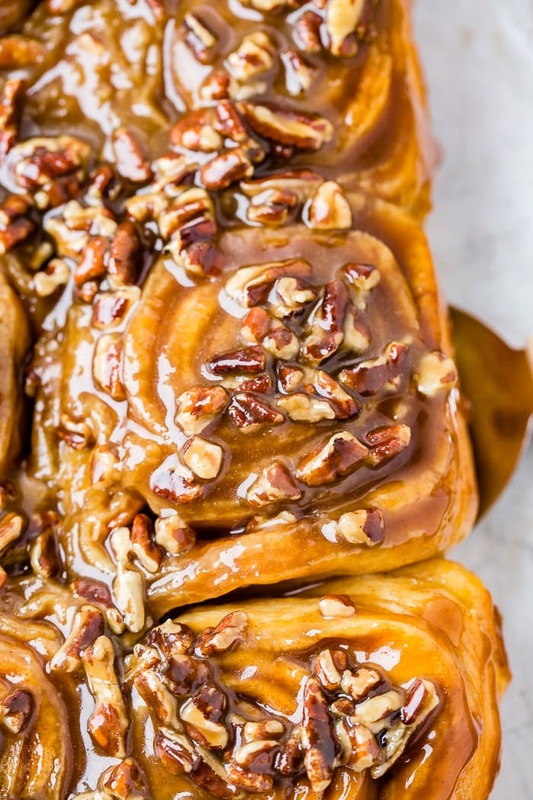 These sticky buns with pecans are best when they are warm and dripping with sticky caramel-y glaze. The stickier the better! 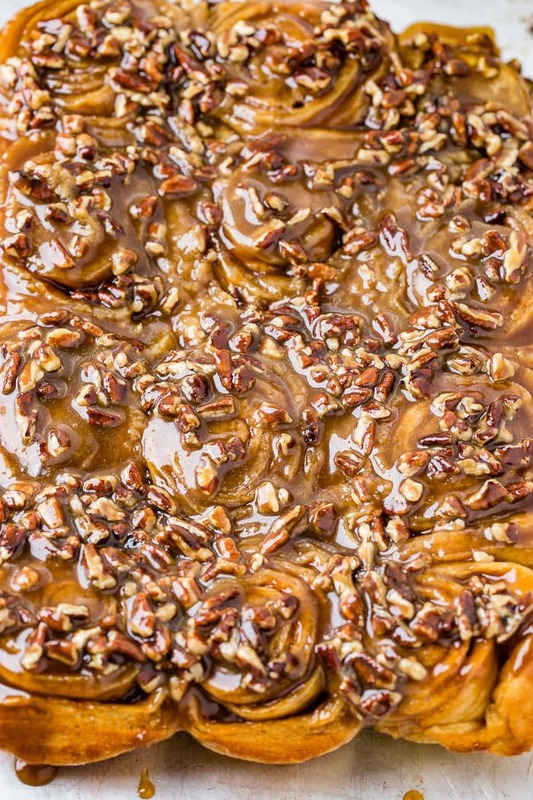 I’ve always seen pictures of sticky buns loaded with pecans, but only recently did I start looking for the best recipe. We have my Mom’s Sticky Buns recipe which is a quick and easy version minus the nuts and totally nothing like this recipe. 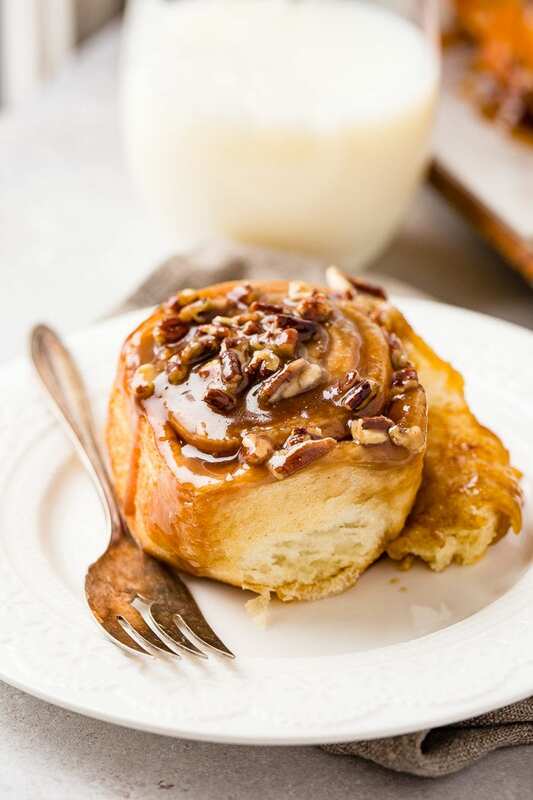 But what about a classic sticky buns with pecans recipe? That darling little 3 year old dropped his jaw and said, “like these buns?!!!!! !” shaking his little booty in the most awkward dance ever. And he was so serious!! How could his mother be asking if he wanted sticky buns?!!! Ahhh to be little again! Are Sticky Buns and Cinnamon Rolls the Same Thing? 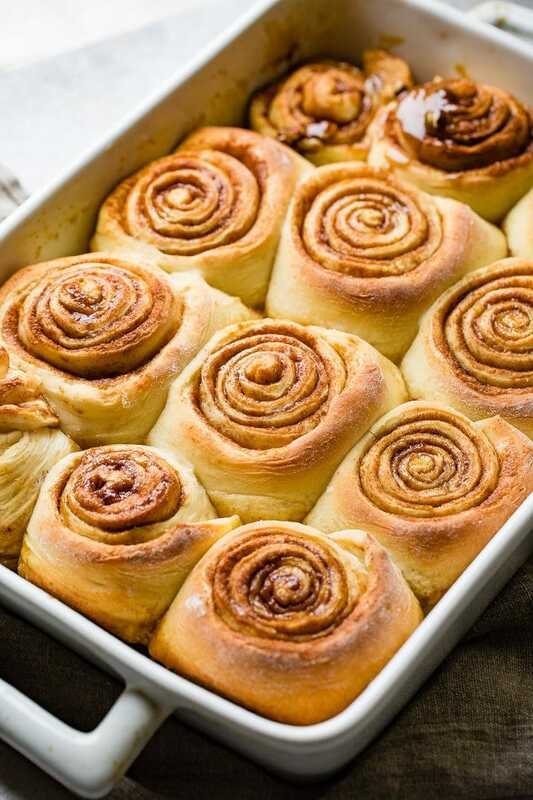 Sticky buns and cinnamon rolls look similar and are made in a similar way, but they are not the same thing. Both are made with a yeast dough, filled with cinnamon and sugar, and rolled into a log. The difference comes in the baking. 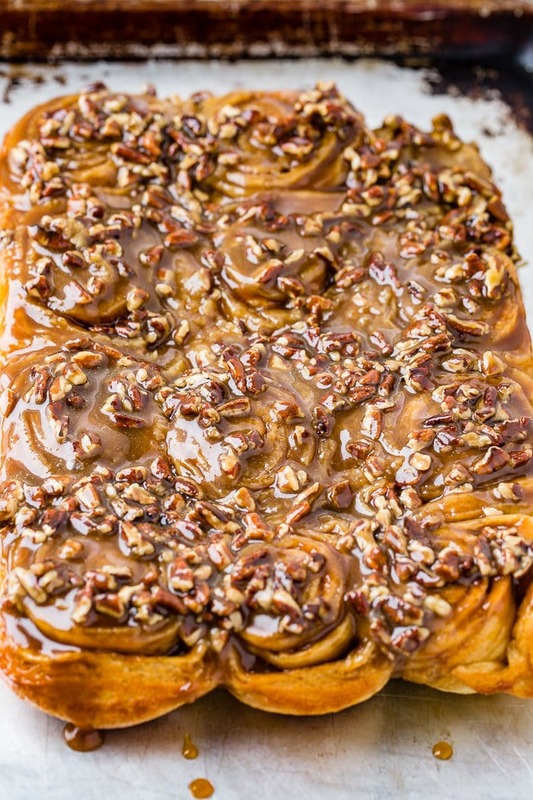 Sticky buns are placed in a baking dish that has been coated with a caramel glaze and toasted pecans. Once the baking is complete, the buns are flipped over so that the caramel glaze is on top. Cinnamon rolls are placed in a bare baking dish and then coated with a cream cheese glaze after baking. I will eat both or either any time, any day! The quantity of salt in butter varies from brand to brand. If you use unsalted butter, you control the amount of salt in your recipe. Salt is crucial in baking so having control of the salt content is extremely important. Unsalted butter is more fresh than salted butter. Salt is a preservative, so salted butter has a longer shelf life and therefore is likely less fresh. As a general rule, if you have a recipe that calls for salted butter but all you have is unsalted, you can use your unsalted butter and add 1/4 teaspoon of salt for every 1/2 cup of butter in the recipe. The same thing works in the other direction. If you have salted but a recipe calls for unsalted, use the salted and decrease the amount of salt by 1/4 teaspoon for every 1/2 cup of butter. Like all nuts pecans have many health benefits. They are high in fiber and protein as well as many vitamins and nutrients like magnesium and potassium. They benefit digestive and heart health. And while they are among the highest in fat content among nuts, pecans are also the highest in antioxidants. Pecans have a rich buttery flavor and are awesome for baking. We love them in so many desserts, like these Pecan Pie Brownies! Do you say “car-muhl” or “cara-mel”? I’ve always said “car-muhl” and according to the Merriam-Webster dictionary online that is the correct way to pronounce it, but that sure isn’t how it’s spelled. English is so dang confusing! I do hear “cara-mel” quite often too when it comes to baking. Maybe it’s a regional thing?! Well, it doesn’t matter really because it is delicious and perfection dripping all over these sticky buns! They are called sticky for a reason! Can Sticky Buns Be Frozen? Yes! These gooey delicious buns of love can be frozen! 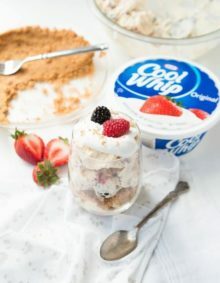 They will last in an airtight container for 2-3 months in the freezer. Let them thaw overnight in the refrigerator and warm them up in the microwave to get that warm sticky caramel just right! Keep the sticky on your fingers and face and shake your buns all over the house when you taste how bomb these are! My son can teach you all his moves! Some buns you want sticky and other buns you don't. These sticky buns with pecans are best when they are warm and dripping with sticky caramel-y glaze. The stickier the better! 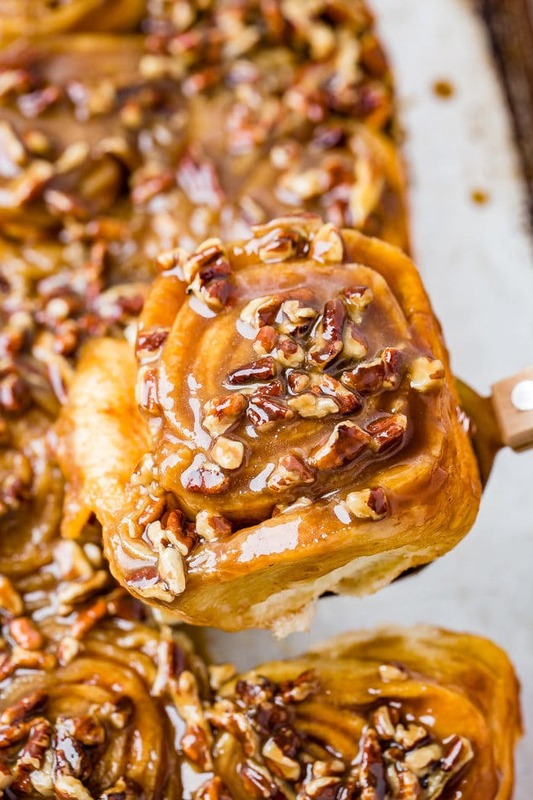 I've always seen pictures of sticky buns loaded with pecans, but only recently did I start looking for the best recipe. We have my Mom's Sticky Buns recipe which is a quick and easy version minus the nuts and totally nothing like this recipe. 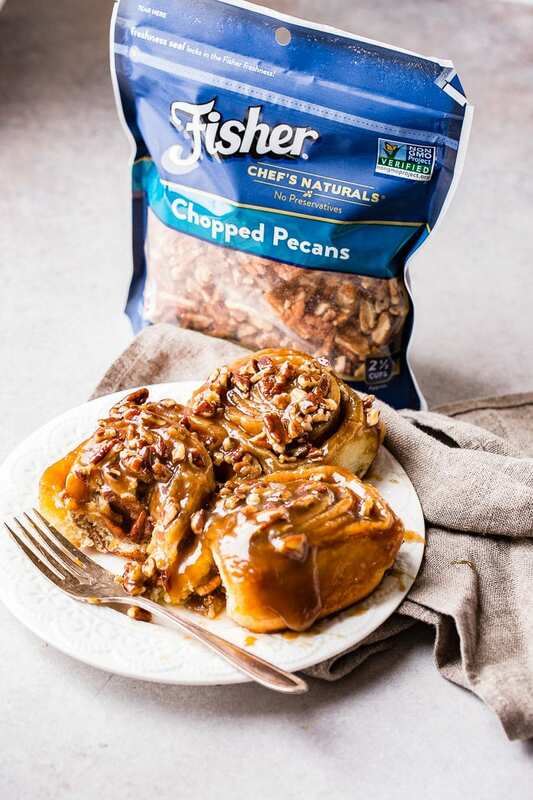 But what about a classic sticky buns with pecans recipe? In a saucepan over medium low heat, add the milk and buttermilk and cook until the edges begin to foam a little. Do not boil. Remove from the heat and add the sugar. Cool to lukewarm. Add the yeast and allow to sit for 3 minutes. Add the butter and stir until melted in. In bowl of standing mixer, whisk egg. Add milk/sugar mixture and whisk to combine. Whisk in salt. Switch to your dough hook attachment. Add about 2 cups flour and mix until the dough comes together, adding up to 1 more cup (I generally only need 1/2 cup more) until a stiff dough is created. Cover the bowl with a towel to rise until doubled, about 1 1/2-2 1/2 hours. Meanwhile, combine all ingredients for glaze in small saucepan and cook over medium heat, whisking occasionally, until butter is melted and mixture is thoroughly combined. Pour mixture into nonstick metal 13- by 9-inch baking dish; using rubber spatula, carefully spread mixture to cover the bottom of the baking dish. Set baking dish aside. Combine brown sugar, cinnamon, cloves, and salt in small bowl for the filling and mix; set aside. Turn dough out onto lightly floured surface. Gently shape dough into rough rectangle with long side nearest you. Using a rolling pin, roll to 16- by 12-inch rectangle. Brush dough with melted butter, leaving 1/2-inch border along top edge; with butter remaining on brush, brush sides of baking dish. Sprinkle filling mixture over dough, spreading it evenly, leaving 3/4-inch border along top edge. Beginning with long edge nearest you, roll dough into a tight cylinder to keep filling from falling out. Pinch seam to seal and roll cylinder seam-side down. Using serrated knife, slice cylinder in half, then slice each half in half again to create evenly sized quarters. Or, use string to slide under the dough, lifting, crossing and slicing through. Slice each quarter evenly into thirds, yielding 12 buns. Arrange buns cut-side down in prepared baking dish; cover tightly with plastic wrap and set in warm spot until puffy, about 1 1/2 hours. Meanwhile, adjust oven rack to middle lowest position, and heat oven to 350 degrees. Place in the oven and bake until golden brown, 25 to 30 minutes. Cool on wire rack 10 minutes; invert onto rimmed baking sheet, large rectangular platter, or cutting board. With rubber spatula, scrape any glaze remaining in baking pan onto buns; let cool while making pecan topping. Combine butter, brown sugar, corn syrup, and salt in small saucepan and bring to simmer over medium heat, whisking occasionally. Off heat, stir in vanilla and pecans until pecans are evenly coated. Spoon heaping tablespoon nuts and topping over center of each sticky bun. Continue to cool until sticky buns are warm, 15 to 20 minutes. Pull apart or use serrated knife to cut apart sticky buns; serve. Place the pecans in a skillet over medium heat and toast, swirling the pan occasionally, about 1-2 minutes. 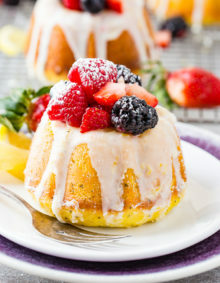 Looking for more sweet roll recipes? Try our World’s Best Cinnamon Rolls, Apple Empty Tomb Rolls, Orange Rolls, Maple Glazed Cinnamon Butterflake Rolls, Caramel Apple Sweet Rolls, Orange Cinnamon Butterflake Rolls, Empty Tomb Rolls, Heirloom Apple Rolls or Soft Pumpkin Cinnamon Rolls. 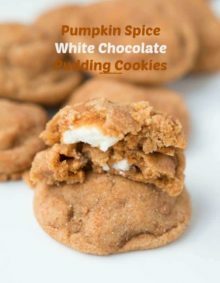 I really want to make this recipe but I too am having trouble figuring out which ingredients are for which part because so many ingredients over lap.. Would you please re post the recipe with categories? Thank You for your wonderful website! Thank you! Yes, we had it grouped like that but for some reason it didn’t translate over to the recipe card correctly. We are working on fixing it! With a 23 ingredient list, don’t you think categorizing the list would be a better option? You list butter 4 times…sugar 4 times…milk, flour and salt multiple times. Wayyyyyyyy too confusing. We are on it! Thank you! Thanks for the feedback Rich! We had all the ingredients grouped into what they are used for, but it didn’t come through in the recipe card. We are working on it now! Thank you for the feedback Lisa! We are going to group the ingredients list into what each ingredient is used for. It would be easier to follow the recipe if the ingredients were categorized by dough, caramel, and filling. I love that suggestion! I’ll get that updated!